This is a project that I completed when I was at University, and still remains one of my favourite branding pieces today! Our design class were asked to compete in a competition to re-brand Penelope’s Kitchen, a canteen style diner in Manchester. Spoiler alert, I won the owner with my logo design and she chose to use it for the re-brand! To make a head-start on the design process I like to ensure I've gathered enough keywords from the client to create a moodboard. This helps me to visualise the style of the brand from the get-go. The keywords to focus on were; contemporary, easy-going, hangout, inviting, communal. When I thought of these words in my head, I imagined calm, serene, blue and light colours. 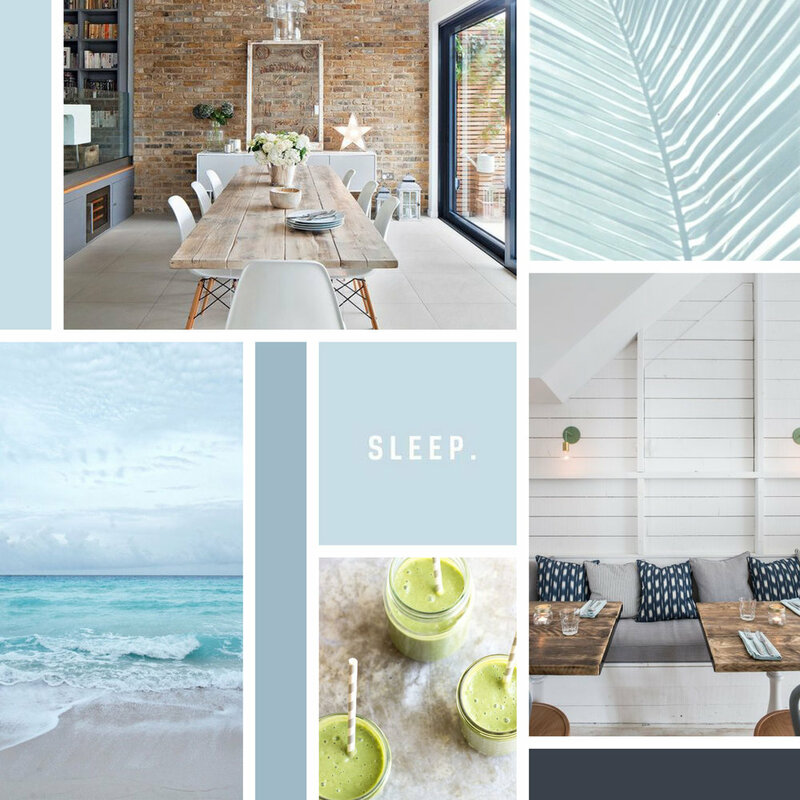 I searched on Pinterest for baby blues, mild greens and soft pastel colours. I started to develop the style into something that reminded me of a Californian beach house or cafe. Hey-presto! I created this vibrant moodboard below. I developed a number of concepts for Carla, but she quickly decided on the design below for her main logo. She liked the contrast between the bold and the soft, rounded text as well as the playful, happy colour, which she felt would match well with the interior of the cafe. Although it was a while ago now, this was a fun project to work on! If you'd like to check out Penelope's Kitchen, head over to penelopesmcr.co.uk to learn more! Older PostWhen Enough is Enough: Am I Using Too Many Apps for My Business?